The formation of fine lines/wrinkles and volume loss are a natural part of the ageing process. With time, our skin losses its natural collagen and elastin, making it thinner and easier to crease. We also see changes in our muscle and fat pad structures affecting facial support – commonly expressed as, “I feel that my face is starting to sag and being pulled downwards”. For some people, there may be an area of fine lines or shadowing (i.e. eye bags, frown lines) that is difficult to cover or improve with just skin products/laser treatments and bothers them each morning in front of the mirror. These little areas are safely and easily corrected with cosmetic injections – a 15-minute visit to our premium cosmetic clinic in Melbourne could mean up to a year of not worrying about a certain feature. There are a range of cosmetic injection clinics in Melbourne, each with differing values and experiences. At Ohana Cosmetic Medicine, our core value is to ensure that each client is listened to and walks out with the best natural looking result. 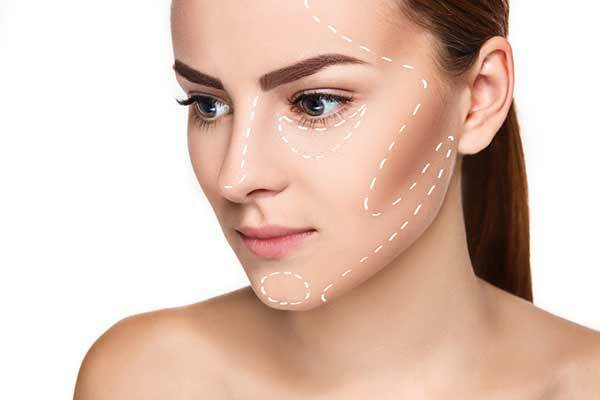 We treat cosmetic injections as a medical procedure not a beauty treatment and place significant importance to client safety – for this reason all our consultations are comprehensive. There are many different reasons to why we want to change the way we look, one of the biggest reasons is that it affects the way we feel – and at Ohana we believe everyone deserves to feel incredible. A beautiful smile can make a world of difference to your confidence. At Ohana Cosmetic Medicine, we specialise in creating the perfect lip for you – whether that be a subtle, natural look or something more glamorous.